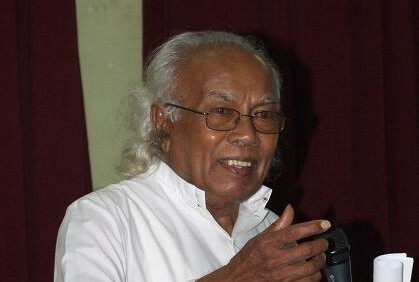 Well known Sri Lankan theologian and former IMCS Asia chaplain, Fr Tissa Balasuriya, has died at the age of 89. In 1971 Fr Tissa founded the Center for Society and Religion. In 1976, he helped found the Ecumenical Association of Third World Theologians (EATWOT). In 1997, following a long process with the Congregation for the Doctrine of the Faith, he was excommunicated over the content of one of his books, Mary and Human Liberation. He was reconciled to the Church the following year. Later he said he regarded his experience not as an “ex-communication” but rather as an “in-communication”. Fr Tissa was also a supporter of Cardijn, whom he met as a young priest. “Cardijn is still relevant in contemporary reality. CCI must bring Cardijn closer to the youth through his approach and See-Judge-Act method. The primordial role of the youth in the world should not be undermined,” Fr Tissa told CCI leaders in 2011. “We remember Fr Tissa with affection and mourns his passing,” said CCI convenor, Stefan Gigacz.